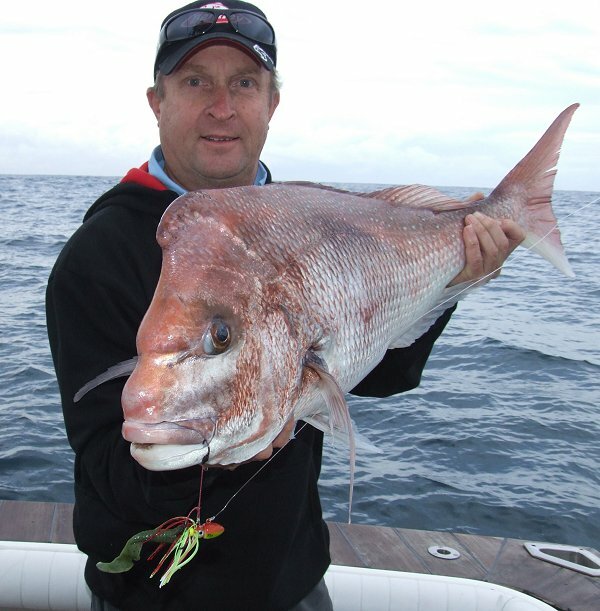 Snapper are structure dwellers, they feed over particular areas of reef, gravel or broken bottom and to catch them consistently, offshore anglers must know some of these places. Snapper can be found over a range of habitats although most of these locations have a hard bottom. High profile reefs are the first choice in most areas. The edges around the reef, particularly the place where hard reef meets mud or sand are always very likely snapper spots. The reef itself is also a good location as snapper will work over most of the reef. Broken bottom featuring gravel, or mud and rock are also highly productive. These rubble areas seem to be favoured by intermediate class fish from just legal up to two kilograms. 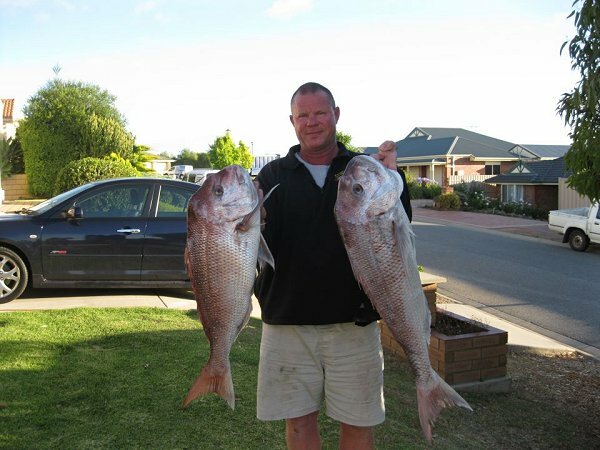 Snapper will take a very wide range of baits including prawns, squid, pilchards, fish fillets, shellfish and live baits. The pick of the baits are fresh squid, fillets of striped tuna, frigate or slimy mackerel cut into strips and blue pilchards. If the snapper won't take these baits then they're just not on the bite. When hooked, Snapper offer a fight of a lifetime. A correctly set drag prior to hookup is crucial, as Snapper will run upon feeling the hook. On average, a 12 kilogram Snapper takes about 20 minutes to reel in, and you can tell when they are getting tired, by their characteristic bumping and shaking of its head. This sometimes indicates a prelude to another run. When the Snapper has broken the surface of the water, gaff it cleanly thru the gills if it is a large one, and use a hand net, if it is a rugger. Use main line between 10 to 15 kg. If fishing for the larger variety, use a 25 kg trace. A rod around 1.8m is ideal for boat fishing. Photo from John Bell - Thanks JB!